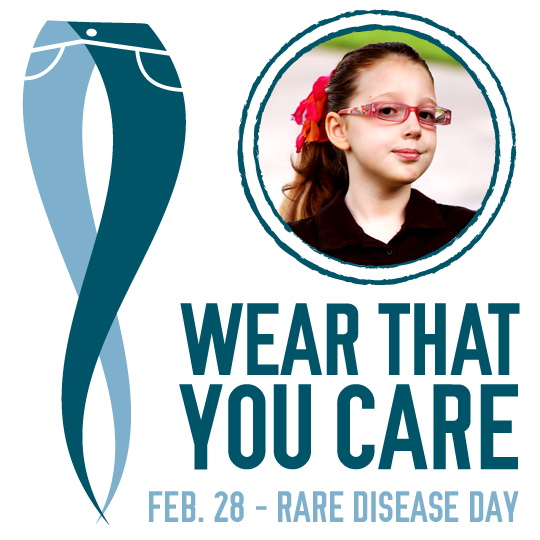 Today was Global Rare Disease Day and the teachers and Staff at K’s school participated in Global Genes Project’s Wear that you Care Day Fundraiser. They donated a total of $210 to MitoAction in honor of our sweet girl (and in honor of another day to wear jeans to work, woohoo!)! K loved it, of course. This morning when I told her about it, she said, “So it is like MY day and people are paying $5 because they love me? !” 🙂 She personally thanked and shook hands with all of the staff she encountered who were wearing jeans. She said, “Thanks for wearing jeans for mito!” and I second that! Thanks to everyone who wore jeans today…you supported a wonderful cause, helped us raise awareness, and made my sweet little girl feel so loved! Extra special thanks go to Mrs. H for organizing all of it!